Marc Teitelbaum is the chair of Dentons' US Tax practice, which was recognized by Legal 500 in 2015 for outstanding work in international tax. 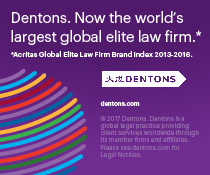 Shortly before the end of 2014, Dentons published a new edition of Vox Tax. This edition of Vox Tax analyzes global protections available for tax advice and provides a high-level overview of legal privileges and protections that may preclude the production of sensitive tax advice in administrative tax examinations and judicial proceedings. In the report, lawyers from Dentons’ Global Tax Team examine privileges and protections in 17 countries across North America, Europe, and Asia. The report addresses the applicable protections, the type of information subject to protection, and what may effectuate a waiver of those protections. Additionally, the report analyzes the practices and trends of each local taxing authority with respect to information gathering and sharing. This report also includes a summary table comparing these 17 countries on several key intricacies of their respective tax laws. In a taxpayer win, the Ninth Circuit recently reversed the Tax Court and held equitable recoupment was not time barred. Revah v. Comm’r, No. 11-70211 (9th Cir. Sept. 17, 2014) (unpublished opinion). Relying on longstanding precedent, the Ninth Circuit held the taxpayers were not statutory barred from applying for equitable recoupment because it’s permitted even with respect to an untimely refund claim. Thus, even though the taxpayers failed to timely file their refund claims, “untimeliness is not a ground upon which the tax court may deny equitable recoupment.” Id. Equitable recoupment is a judicial doctrine that applies where one transaction or event is subject to two taxes based on inconsistent theories. The equitable recoupment doctrine “allows a litigant to avoid the bar of an expired statutory limitation period” and “prevents an inequitable windfall to a taxpayer or to the Government that would otherwise result from the inconsistent tax treatment of a single transaction, item, or event affecting the same taxpayer or a sufficiently related taxpayer.” Menard, Inc. v. Comm’r, 130 T.C. 54, 62 (2008). To establish equitable recoupment a taxpayer must prove: (1) the overpayment or deficiency for which recoupment is sought by way of offset is barred by an expired period of limitation, (2) the time-barred overpayment or deficiency arose out of the same transaction, item, or taxable event as the overpayment or deficiency before the Court, (3) the transaction, item, or taxable event has been inconsistently subjected to two taxes, and (4) if the transaction, item, or taxable event involves two or more taxpayers, there is sufficient identity of interest between the taxpayers subject to the two taxes that the taxpayers should be treated as one. Id. at 62-63. In practice, taxpayers often have difficulty mounting arguments of equitable recoupment against the IRS, although the Government typically has more success in this area. The IRS audited and made adjustments to the Revahs’ 1999 and 2000 tax returns related to inventory and bad debt, and resulting in a decrease in the net operated losses the taxpayers reported on their 1997 and 1998 returns. The taxpayers accepted the adjustments assuming that, as the examiner acknowledged, they would be able to reduce income in 2001 through amended returns. After the exam and in 2005, the taxpayers filed amended returns in accordance with the examiner’s adjustments, but the refund claims were denied as untimely. The taxpayers petitioned the Tax Court for relief asserting the equitable recoupment doctrine. The Tax Court (Judge Cohen) found the taxpayers’ inability to use the NOLs to reduce tax liabilities was not the result of the inequitable application of inconsistent theories of taxation contemplated by the equitable recoupment doctrine, and thereby denied the petition. The Ninth Circuit reversed and remanded in favor of the doctrine’s application, illustrating that there is hope for future taxpayers seeking to offset current IRS liabilities with past credits under the doctrine. Share %s using EmailThouron v. United States: Third Circuit Holds Reliance on Counsel may Relieve Penalties for Late Payment of Taxes. This case arises out of estate taxes originally due in 2007. In his will, the decedent appointed a friend as executor of the estate and the friend hired a tax attorney to advise the estate on tax matters. Relying on the advice of the attorney, the estate timely filed an extension for time to file the estate return and remitted a partial payment, but did not file for an extension to pay the remainder of the tax due. The estate claimed its attorney advised it that the extension to pay was not due until the return was filed and that the tax due would be deferred under I.R.C. section 6166 because the bulk of the estate’s assets were illiquid. The estate further claimed that the attorney advised it that no penalty would be imposed. The IRS assessed the mandatory penalties of I.R.C. section 6651 and the estate filed a refund claim in district court asserting reasonable cause and reliance on its tax expert as a penalty defense. The district court for the District of Pennsylvania held that reliance on the tax adviser was not reasonable cause for the late payment of the estate taxes and granted summary judgment in the government’s favor. To support its conclusion, the lower court relied heavily on United States v. Boyle, 469 U.S. 241 (1985), a Supreme Court decision holding an estate could not rely on its attorney for the ministerial task of timely filing a return. The district court read Boyle to preclude any finding of reasonable cause based on reliance on an expert or other agent in failure-to-file and failure-to-pay cases. The Third Circuit reversed and remanded. The court first established that the holding of Boyle, though a late-filing case, was applicable to failure-to-pay cases because of the similarity in the language in the statutes. The Third Circuit held, however, that the district court misapplied Boyle to the facts at issue. 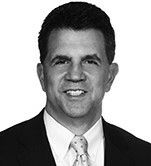 Distinguishing Boyle because it involved reliance on an adviser for merely the ministerial task of filing, the court noted the distinction drawn in Boyle between relying on an expert’s clerical action and relying on the expert’s advice: “taxpayers may rely on the advice of an expert but may not, for purposes of completing their statutory duty, rely on an agent to perform the task of filing and paying.” (Slip. Op. at 9). Ultimately, the Third Circuit held there was a material question as to whether the estate relied on the advice of counsel in not paying the tax due and remanded the case for that factual determination. The court noted that the estate must also show either an inability to pay or undue hardship from paying at the deadline. The court offered no insight as to how the estate can make such showing. In a recently reported Emerging Markets Series of DFA Investment Trust Company case (C -190/12) the European Court of Justice confirmed that investment funds based outside EU should benefit from the free movement of capital rule regarding investments in Europe (see link for more details). This judgment opens up the opportunity for non-EU investors to claim withholding tax refunds in some EU jurisdictions (in particular Germany, Poland, Spain and the Czech Republic). Follow-up information on selected EU jurisdictions is set out below. Czech law imposes a favorable tax regime on certain investment funds established in the EU, Norway and Iceland. It offers investment funds the opportunity to claim tax refunds, which should be of particular interest to non-EU investment funds achieving capital gains or income derived from their Czech-based immovable property. Since 2012, further to the judgment in Santander Asset Management and others ruling (joined cases 338/11 to 347/11), non-resident undertakings for collective investment in transferable securities (UCITS) are no longer required to pay withholding taxes on dividends received from France. Any withholding taxes collected at source should open up the right to claim refunds under certain conditions. This ECJ judgment could trigger a legislative response from France which is currently difficult to predict. It could mean the enactment of a specific tax for French UCITS and a specific withholding tax for non-French UCITS. This was in fact the route taken by France after the High Court ruled in 2009 that French WHT charged on unearned income achieved by non-resident nonprofit organizations (where French nonprofit organizations were tax exempt) was illegitimate. The tax was set at 15%, instead of the original 25% rate that only applied to non-resident nonprofit organizations. Certain non-German investment funds investing in German companies should also benefit from this decision. German Investment Tax Act provides for a full WHT refund in case of capital income of the fund, but only for those established in Germany and not for comparable funds established abroad. Whether or not non-German funds can be considered comparable to German funds in terms of tax treatment needs a case-by-case analysis. The requirements for the applicability of the German Investment Tax Act changed recently due to the implementation of the AIFM Directive. A case was initiated by a Polish court which gives solid grounds for non-EU investors to claim refunds of overpaid WHT. Polish regulations offer income tax exemptions for domestic investment funds and funds based in the EU/EEA and there are exchange of tax information mechanisms with a number of jurisdictions. If tax has been paid on dividends from a Polish company, it should be analyzed if there are conditions for preferential treatment based on the EU principles of freedom of establishment and the free movement of capital. The principles of the case and their applicability are certain to be assessed on a case-by-case basis. It definitely sheds new light on European investments and should be explored especially in conjunction with the new Romanian law on exemption of tax for re-invested profits. Application of the case in Spain, along with other ECJ precedents (i.e. ECJ joined cases 338/11 to 347/11) would allow to investment funds located outside the EU/EEA to claim refunds of the withholding taxes paid on their Spanish sourced dividend income, on the amount exceeding the 1% tax rate applicable to Spanish resident investment funds. Chances of success would depend on fulfilling the requirements set by the ECJ in the case at hand. As the UK does not impose withholding tax on dividends (other than REIT dividends), the impact of the case in the UK is limited. In this issue of Vox Tax, we analyze the recent wave of information sharing among national tax authorities. As tax regimes around the world place an increased emphasis on transparency and international cooperation to combat tax evasion, a host of new laws, rules and regulations have been enacted. In the report, lawyers from Dentons’ Global Tax Team examine the practices and policies in 15 countries across North America, Europe and Central Asia. Learn about the type of information that may be shared among nations, and what that means for your capital and tax strategies. For your reference, this report also includes a table comparing these 15 countries on several key intricacies of their respective tax laws. In its verdict in Case C-190/12 (Emerging Markets Series of DFA Investment Trust Company), the European Court of Justice (ECJ) confirmed that investment funds based outside the EU should benefit from the EU’s free movement of capital rule regarding investments in Europe. Dentons’ global Tax team discusses the implications of this verdict in Europe. Karina Furga-Dąbrowska, Cezary Przygodzki, and Rafał Mikulski, all members of Dentons’ Tax practice in Poland, co-authored this article. Continuing its implementation of the Foreign Account Tax Compliance Act (FATCA), the US Treasury Department recently released a package of proposed and temporary regulations. 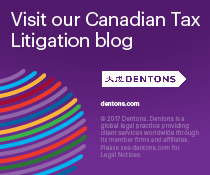 Dentons’ tax lawyers analyze the latest on FATCA in this article. When 2013 ends, so will more than 50 US tax provisions. Nearly all of these expiring tax provisions have suffered this fate before, only to be extended retroactively after months of uncertainty for affected taxpayers. Included among the list of expiring tax provisions are some widely used incentives, such as the research and experimentation tax credit and 50 percent “bonus” depreciation. The list of expiring tax provisions also contains a raft of energy incentives, including the production tax credit for wind energy, incentives for alternative and renewable fuels and credits for energy-efficient appliances and houses. Provisions important to individuals—such as the deduction for out-of-pocket expenses for teachers, higher exclusions for mass-transit benefits and the deduction for state and local sales taxes—will sunset at the end of this year. The same is true for provisions important to US companies with cross-border activities (for example, the “active financing exception” and the subpart F exception for dividends, interest, rents and royalties paid between related controlled foreign corporations) and businesses operating in certain designated or distressed areas. Despite their diversity, these expiring tax provisions have one thing in common: Taxpayers who use them are about to enter months of uncertainty as to their availability. Sander Lurie, a member of Dentons’ Public Policy and Regulation practice, co-authored this article. Can the IRS Circumvent U.S. Law by Issuing a Treaty Request? Share %s using EmailCan the IRS Circumvent U.S. Law by Issuing a Treaty Request? Shortcuts to identifying the “soft spots” of a tax return have long tempted the IRS. Those shortcuts are generally quite controversial and have included the aggressive use of penalties to force a reasonable cause defense and the resulting disclosure of privileged materials and, as another example, transparency programs such as Schedule UTP that arguably strain the credibility of the IRS’s policy of restraint with regard to tax accrual workpapers. More recently, with the increasing prevalence of complex, cross-border transactions having multi-jurisdictional tax consequences, there is often a paper trail of tax analysis strewn around the world that is providing the IRS with a new temptation. Would the IRS be tempted to quietly make a treaty request in an attempt to circumvent U.S. privilege protections and obtain the materials without the fuss of a privilege fight? Unfortunately, the IRS and foreign taxing authorities have succumbed to this temptation, and it is something that practitioners should be aware of. The propriety of any such request must be carefully scrutinized and the appropriate interventions should be considered. Indeed, the IRS has used treaty requests in lieu of following the administrative summons process (as well as its own internal directives) in order to bypass procedural safeguards for the taxpayer to attempt to obtain privileged and protected documents that would otherwise be unavailable to the IRS under U.S. law. This premature and improper use of treaty requests violates two core principles contained in most bilateral tax treaties, and in articles 18-26 of the Convention on Mutual Administrative Assistance in Tax Matters and article 26 of the OECD Model Tax Convention and its Commentary. First, the issuance of a treaty request to circumvent domestic law is improper and objectionable because the requested nation is not obligated to employ procedures or obtain information that is at variance with or not obtainable under the laws of either country. This means that, for example, where the U.S. issues a treaty request, the same procedural safeguards that exist in the U.S. would also effectively be available with respect to the request. Additionally, the privileges and protections that exist in the requested country also apply. Under U.S. law, the IRS has broad authority to issue a summons for the production of documents or testimony relevant to the purpose of ascertaining the correctness of a return or determining the liability of any person or any internal revenue tax. But the IRS is subject to specific limitations. Significantly, pursuant to United States v. Powell, 379 U.S. 48 (1964), a summons is not enforceable unless it is (1) issued for a legitimate purpose; (2) the material sought is relevant to that purpose; (3) the information sought is not already within the possession of the IRS; and (4) the administrative steps required by the Internal Revenue Code have been followed. Further, the IRS is limited to materials in the possession, custody, and control of the summonsed party and is not entitled to documents that are privileged or protected under U.S. law, including the attorney-client privilege, attorney work product protection, and the privilege against self-incrimination. A requested nation will not employ measures to circumvent these U.S. laws. As noted in the OECD Commentary, one nation cannot take advantage of its treaty partner’s information system merely because it is wider than its own. Thus, a treaty request at variance with the U.S. law, including those discussed above, should be denied. Second, the issuance of a treaty request before exhausting domestic measures is a clear violation of the international authorities and is grounds for rejection of a request. Under U.S. law, a summons is not self-enforcing. Instead, if the summonsed party fails to comply with the summons, the U.S. government must bring an enforcement action in the appropriate federal district court. And, both the taxpayer and the recipient of a summons have the right to protest the enforcement of a summons by filing a petition to quash in federal district court. The administrative summons procedures thereby provide the prerequisite mechanisms for a court to review the legitimacy of the summons and/or whether the claims of privilege are well-founded. The IRS cannot circumvent a taxpayer’s privileges or right to have a court review these claims by simply pursuing the documents through a treaty request because a request made prior to exhausting the domestic administrative summons procedures should be denied. The premature and improper issuance of a treaty request merely shifts the burden of potentially protracted and costly disputes to a foreign nation, attempting to force the foreign nation to interpret and decide U.S. law. In addition to the potentially resulting prejudice against the rights of the taxpayer, this shifting aspect is itself clearly an inappropriate imposition on a treaty partner. See article 26 of the OECD Model Tax Convention and its Commentary. Treaty partners are usually quite receptive to these arguments by the objecting taxpayer in intervention proceedings. Notice 2013-69, released on October 29, 2013, is the latest effort by the US Treasury Department to provide guidance to US and foreign entities that will be subject to the new reporting and withholding rules imposed by the so-called Foreign Account Tax Compliance Act, or “FATCA.” For information on previous guidance issued by the US Treasury Department and background on FATCA, please see our previous alerts titled US Government Announces 6-Month Delay in Certain FATCA Rules and US Issues Final FATCA Regulations. announces the intent to make limited changes to the recently issued FATCA regulations and to other reporting regulations to coordinate with FATCA reporting. Jerome Walker, a member of Dentons’ Corporate practice, co-authored this article. The U.S. Supreme Court recently heard oral arguments in United States v. Woods, 471 Fed. Appx. 320 (5th Cir. 2012), cert. granted, 133 S. Ct. 1632 (Mar. 25, 2013) (No. 12-562). In addition to the heavily-disputed circuit split regarding the gross misstatement penalties, the Court may rule on a complicated jurisdictional question implicated in TEFRA partnership proceedings. Although neither party nor the lower courts raised the issue, the Court directed the parties, without further detail, to brief and argue whether the district court had jurisdiction under I.R.C. § 6226 to consider the substantial misstatement penalty for an underpayment “attributable to” an overstatement of basis. Accordingly, the Court may address the issue of whether penalties related to the overstatement of outside basis must be resolved in a partnership proceeding or must be raised in a subsequent partner-level claim. It is possible that the Supreme Court may resolve the Woods case on jurisdictional grounds, without addressing the substantive circuit split on whether the 40% gross valuation misstatement penalty applies to transactions that lack economic substance, though most believe that it will also address the circuit split on the gross valuation misstatement penalty. In either event, the fact that the Supreme Court directed the parties to brief and argue the jurisdictional issue is a pointed reminder that the TEFRA partnership audit procedures are outdated and in desperate need of a fix. In fact, TEFRA jurisdictional issues have generated huge amounts of litigation about partnership tax procedure, often without addressing the underlying merits of a tax dispute. So the Supreme Court’s guidance in Woods on TEFRA jurisdiction may have far reaching impact and either confirm or cast doubt on a whole series of ad hoc TEFRA procedural decisions over the past ten years. In Woods, the particular TEFRA partnership procedures at issue involves penalties. When TEFRA was originally enacted, penalties were not partnership items and had to be resolved in individual partner-level proceedings after the completion of the partnership audit and any resulting tax litigation. In 1997, congress amended TEFRA to provide that penalties are determined at the partnership level without reclassifying penalties as partnership items. As a result, significant confusion arose as to whether all or only a portion of the penalty issues (e.g., everything except the reasonable cause defense to penalties as this is specific to an individual partner’s state of mind) can be determined in a partnership proceeding. Also, significant issues arose as to whether a court has jurisdiction in a partnership proceeding over penalties if the underlying adjustment resulting in a partner-level underpayment of tax is itself not a partnership item. Many courts have found that the reasonable cause defense to penalties is jurisdictionally appropriate at the partnership level when the defense involves the conduct and state of mind of the partnership’s managing member or when the defense is not personal to the partners or dependent on their separate returns. Where the penalties imposed require a determination of non-partnership items, however, courts have found the defense properly raised at the partner level. Thus, several courts have found no jurisdiction in a partnership-level proceeding when the penalties related to the outside bases of the individual partners because outside bases are generally not partnership items and must determined at the partner level. It is this last point that the Supreme Court in Woods has focused its jurisdictional analysis on, even though the parties to the case did not raise jurisdictional questions. After being directed to brief the issue, the taxpayers in Woods rely heavily on Tax Court decisions Jade Trading and Petaluma to argue that the district court lacked jurisdiction to impose the penalty because it relates to a nonpartnership item, i.e., the partner-by-partner determination of the partners’ outside (or tax) bases in the partnership interests. See Petaluma FX Partners LLC v. Comm’r, 591 F.3d 649, 655-56 (D.C. Cir. 2010), on remand 135 T.C. 366; Jade Trading v. United States, 80 Fed. Cl. 11, 60 (2007), aff’d in part and vacated in part, 598 F.3d 1372 (Fed. Cir. 2010). In contrast, the government argued that the district court had jurisdiction to impose the penalty because the issue was a partnership item. Interestingly, the government previously conceded that its argument was wrong. See Brief for Respondents, United States v. Woods, 133 S. Ct. 1632, 2013 WL 3816999, *21-24 (July 19, 2013) (citing Logan Trust v. Comm’r, No. 12-1148 (D.C. Cir. Oct. 25, 2012) (“We agree that outside basis is an affected item, not a partnership item . . .”)). Hopefully, the Supreme Court’s jurisdictional decision in Woods clarifies—instead of further confuses—TEFRA jurisdictional rules. Given the current political environment in Washington, D.C., it is unlikely that congress would take up a statutory fix to TEFRA, much less agree on what that fix should look like. The current case-by-case, and often conflicting, judicial resolution of TEFRA issues is maddening to lawyers, judges, and especially taxpayers who simply want the merits of their tax cases decided. Did the Tax Court Enforce Retroactive Penalties? Share %s using EmailDid the Tax Court Enforce Retroactive Penalties? Taxpayers and practitioners alike were unsettled by recent language from a Tax Court opinion suggesting that retroactive penalties may be enforced. See Soni v. Comm’r, T.C. Memo. 2013-30. In Soni, the Tax Court summarily stated “[t]his Court has decided previously that taxpayers may be liable for a penalty arising from a transaction entered into before the penalty was enacted.” Id. at *8. In support, the Court cited Patin v. Comm’r, 88 T.C. 1086, 1127 n.34 (1987), aff’d without published opinion, 865 F.2d 1264 (5th Cir. 1989), and aff’d without published opinion sub nom. Hatheway v. Comm’r, 865 F.2d 186 (4th Cir. 1988), and aff’d sub nom. Skeen v. Comm’r, 864 F.2d 93 (9th Cir. 1989), and aff’d sub nom. Gomberg v. Comm’r, 868 F.2d 865 (6th Cir. 1989) (all available through major commercial case reporting services); McGehee Family Clinic, P.A. v. Comm’r, T.C. Memo. 2010-202, slip op. at 6. Retroactive penalties conflict with Congress’ express recognition that taxpayers, as a general matter, should not be penalized if their tax return filing position is successfully challenged by the IRS if—at the time the return was originally filed—the taxpayer took the position reasonably and in good faith. The primary exception to this fundamental proposition is the new and arguably strict liability penalty for transactions lacking economic substance. Some would argue, and the IRS routinely does in fact argue, that if a transaction lacked economic substance, it necessarily was not entered into reasonably and in good faith. Obviously, we disagree with this argument given the ever-shifting and vague economic substance doctrine. Nonetheless, what to make of Soni and the cases it relied upon? A close review of the facts and holding of Soni reveals that the Tax Court did not impose retroactive penalties. In summary, the court enforced penalties arising from transactions entered into before the transaction was subject to penalty—not before the penalty was enacted. This is a fine, but significant, distinction. In Soni, the taxpayers engaged in a certain transaction beginning in 2001. In a revenue ruling issued three years later, the IRS “listed” the transaction as an abusive tax shelter, arguably putting the taxpayer on notice that the transaction could not be entered into in good faith. (Obviously, this line of reasoning ignores the fact that the IRS has “delisted” certain transactions that it previously considered abusive.) Even after the transaction was listed, the taxpayer continued to engaged in it. For the taxable year ending after the revenue ruling was effective, the IRS sought to impose a penalty under I.R.C. section 6662A (for understatements with respect to reportable transactions) on the taxpayers for engaging in the listed transaction at issue. Part of the taxpayers’ defense to the penalty was that they relied upon a favorable IRS determination letter issued in 2002, before the revenue ruling was issued. In upholding the penalty, the court found that the revenue ruling should have put the taxpayers on notice that they could no longer rely upon such determination letter and that the transaction was now a listed transaction—“[i]gnorance of the law is no excuse for noncompliance with the applicable law.” Id. at *10. None of the cases cited by the court in Soni (listed above) actually applied penalties retroactively or stand for the proposition that a penalty can be applied prior to the enactment of the penalty statute. In fact, in McGehee, the court explicitly stated that the penalty was not being applied retroactively and was applicable only to tax years ended after the date of enactment of the penalty at issue. See McGehee, T.C. Memo. 2010-202. So, despite the loose language in Soni, the Tax Court did not open the floodgates to retroactive penalties. As a part of the continuing TEFRA partnership audit proceeding litigation saga, the Eighth Circuit in Thompson v. Comm’r, (No. 12-1725) (Sept. 9, 2013), weighed in on the question of whether outside basis can be decided at the partnership level, or whether it is an affected item that must be determined subsequently at the partner level. In Thompson, after partnership-level proceedings involving a SON-of-BOSS transaction were decided in favor of the government, the IRS issued a notice of deficiency to the partners explaining several adjustments made to their individual returns and imposing a 40% accuracy-related penalty. When the taxpayers filed a petition in Tax Court to challenge the notice of deficiency, the IRS moved to dismiss for lack of jurisdiction and argued that the notice was issued in error and that the deficiency procedures of I.R.C. § 6230(a)(1) were inapplicable. The Tax Court agreed with the IRS and dismissed the partners’ petition. Writing for the majority, Judge Wherry held that computing the partners’ deficiency arising from the adjustments finalized in the partnership-proceeding did not require any partner-level determinations since the partnership activities “constituted an economic sham” that “foreclosed [the partners] from claiming any loss on liquidating a partnership interest in a disregarded partnership.” On appeal, the Eighth Circuit reversed, holding that the Tax Court erred in determining that it lacked jurisdiction over the petition. In holding the Tax Court had jurisdiction, the Eighth Circuit agreed with other circuits to have addressed the question, citing Jade Trading, LLC v. United States, 598 F.3d 1372 (Fed. Cir. 2010) and Petaluma FX Partners, LLC v. Comm’r, 591 F.3d 649 (D.C. Cir. 2010). The United States Supreme Court may rule on this issue in United States v. Woods, 471 Fed. Appx. 320 (5th Cir. 2012), cert. granted, 133 S. Ct. 1632 (Mar. 25, 2013) (No. 12-562), where, on its own initiative, the Court directed the parties to brief and argue whether the district court had jurisdiction to consider the substantial misstatement penalty for an underpayment “attributable to” an overstatement of basis. Recognizing the practical and logistical problems faced by US withholding agents and foreign financial institutions (“FFIs”), and the uncertainty faced by many FFIs and foreign governments about whether an intergovernmental agreement (“IGA”) will be in effect by January 1, 2014, US tax authorities on July 12, 2013, issued Notice 2013-43. Notice 2013-43 states that the US Treasury Department and US Internal Revenue Service (“IRS”) will postpone by six months, to July 1, 2014, the start of withholding required by the so-called Foreign Account Tax Compliance Act, or “FATCA,” and make corresponding adjustments to various other time frames provided in the final regulations. The Notice states that its goal is to allow for a more orderly implementation of FATCA. The Notice gives affected entities more time to adjust to FATCA; it generally does not, however, relax the long-term, substantive withholding and reporting obligations imposed by FATCA. On January 17, 2013, the US Treasury Department (IRS) released final regulations to implement the US reporting and withholding rules originally enacted in 2010 and frequently referred to as the Foreign Account Tax Compliance Act, or FATCA. Beginning on January 1, 2014, the FATCA rules generally impose a 30 percent withholding tax on many types of payments of US-source income to a foreign entity (“withholdable payments”) unless the foreign entity reports certain information about any US account holders or owners it possesses. The FATCA rules apply directly to withholding agents, foreign financial institutions (FFIs) and non-financial foreign entities (NFFEs), but their indirect impact is far broader and often affects unsuspecting parties. On December 31, 2012, a host of tax and spending provisions were scheduled to expire. On January 2, 2013, substantial cuts to defense programs and to domestic discretionary spending also were scheduled to commence. Negotiations in Washington regarding these provisions had been taking place for weeks without resolution, with a sequence of different negotiating partners seeking, and failing, to reach agreement. Finally, on New Year’s Eve, Senate Minority Leader McConnell and Vice President Biden were able to work out a compromise package, and in an unusual New Year’s Eve session that stretched well into New Year’s Day, the Senate overwhelmingly passed the package. In an even more unusual New Year’s Day session, the House of Representatives passed the Senate package unchanged, with House Democrats voting overwhelmingly for it while a majority of House Republicans voted against it. The package, entitled the “American Taxpayer Relief Act of 2012,” now goes to the President who has stated that he will sign the bill. Michael E. Zolandz and Gary L. Goldberg, members of Dentons’ Public Policy and Regulation practice, co-authored this article. On October 24, 2012, the US Internal Revenue Service (“IRS”) issued Announcement 2012-42 along with a table (reproduced below) that summarizes certain Foreign Account Tax Compliance Act (“FATCA”) due diligence deadlines. The changes announced are limited, but they demonstrate that the IRS and the US Treasury Department continue to make modifications to the FATCA withholding and reporting rules in response to comments, especially comments focused on practical problems encountered by entities trying to implement and comply with FATCA. On April 17, 2012, the US Treasury Department released final regulations and a revenue procedure setting forth the requirements for US offices of certain financial institutions to report on the interest earned by nonresident individuals. Although the regulations, and the multiple sets of proposed regulations that preceded them, are often referred to as the “bank deposit” interest regulations, the preamble to the regulations notes that they will affect commercial banks, savings institutions, credit unions, securities brokerages, and insurance companies that pay interest on deposits. The new reporting rules apply to interest paid on or after January 1, 2013. On February 14, 2012, the US Treasury Department (“IRS”) published in the Federal Register regulations dealing with two separate but related foreign tax credit issues. One set of regulations, which are proposed and temporary, provide guidance to taxpayers on how to interpret section 909 of the US Internal Revenue Code which denies a foreign tax credit for certain “foreign tax credit splitting events.” The other set of regulations, which are final, provide guidance on which person is considered to pay a foreign tax and is therefore eligible to claim a credit for the foreign tax paid. The US Department of the Treasury (the “IRS”) recently released temporary and proposed regulations (the “Temporary Regulations”), effective December 19, 2011, to implement the provisions of the Hiring Incentives to Restore Employment (HIRE) Act that require individuals to report specified foreign financial assets (“SFFAs”) to the IRS. The Temporary Regulations apply to individuals required to file Form 1040, “US Individual Income Tax Return,” and to certain individuals required to file Form 1040-NR, “Nonresident Alien Income Tax Return.” The reporting required under the Temporary Regulations must be made on Form 8938, Statement of Specified Foreign Financial Assets. The DOJ Tax Division has long recognized the efficacy of parallel criminal and civil proceedings and actively pursues them in its current endeavor at increased enforcement. Parallel proceedings often present complicated issues that create additional challenges for taxpayers and their attorneys. When a parallel proceeding is pending, the invocation of the Fifth Amendment by either the taxpayer, a tax advisor, or other non-party witness can create adverse implications in a subsequent proceeding. Taxpayers and their attorneys must carefully navigate the risk of an adverse inference against the taxpayer under the circumstances of the particular case. The well-informed attorney can prepare to face all of these issues and effectively navigate the specific facts of his or her case. The following discussion will explain and analyze: the effect of a party’s invocation in independent proceedings, the effect of a party’s invocation in parallel proceedings, the implications of a non-party’s invocation, and whether an invoker can waive the privilege and later testify. “You’d have to be living in a hole not to know that the U.S. government is really focused on offshore tax evasion,” IRS Commissioner Shulman told Bloomberg News earlier this year. The Bank Secrecy Act of 1970 (“BSA”) permits civil and criminal penalties for U.S. taxpayers who fail to report interests in foreign financial accounts. In the past, however, civil and criminal enforcement was rare; between 1996 and 2002 only twelve indictments were reported. In 2001, heightened financial reporting requirements were enacted under the Patriot Act, which is expressly designed to help prosecute international crimes. The government’s formal declaration of war on foreign tax evasion was commemorated in 2008 when a district court authorized the IRS’s John Doe Summons on Swiss bank UBS, demanding documents identifying U.S. taxpayers with unreported accounts. This order followed the indictments and guilty pleas of a high-profile UBS customer and his private UBS banker. In 2009, the DOJ charged UBS with aiding U.S. taxpayers in tax evasion. The bank avoided prosecution by paying $780 million and disclosing account data. Shulman promised severe penalties as the government pursued “criminal avenues” for these targeted individuals. Criminal charges have since been filed against numerous taxpayers, bankers, financial advisers, and lawyers linked to the data. Still, earlier this year, the IRS threatened offshore bank account holders with the increasing risks of criminal prosecution. Taxpayers and taxpayers’ counsel may be able to proactively fit within the net worth requirements set forth in 28 U.S.C. § 2412(d)(1)(B), which sets forth the standard applicable to both recovery of litigation costs and shifting the burden of proof to the government in tax cases. For example, a taxpayer may be able to successfully fit within net worth requirements by making distributions at any time before the date the case is filed. The following discussion provides a summary of this taxpayer position in recent litigation, the government’s opposition to this position, and the taxpayer’s appropriate—and successful—reply. In addition, relevant portions of the court’s holding and the case law the Government relied upon is also attached for the convenience of the reader. This discussion contains excerpts from Southgate Master Fund, LLC v. United States, 651 F. Supp. 2d 596 (N.D. Tex. 2009).